As the 11th largest retail chain in the world, the Target discount department store retail chain is obviously doing something right. So, retail industry analysts, leaders, and students want to know what that "something right" is. That's why inquiries about the Target mission statement and founders are some of the most frequently asked questions in the . The founders of any company are generally the ones to write — or embody — the first mission statement of the company. 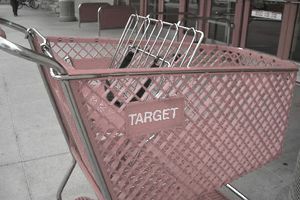 Since both of Target's founders — George Dayton and John Geisse — had extensive retail experience before starting the Target chain, it's probable that the first Target Company Mission Statement was written before the first Target store was opened. But 50+ years after the founding of Target, all original corporate guidance that came directly from Dayton and/or Geisse has been likely updated several times. Today's Target corporate mission statement focuses its leaders and employees on fulfilling the contemporary promises of the Target brand. "We fulfill the needs and fuel the potential of our guests. That means making Target your preferred shopping destination in all channels by delivering outstanding value, continuous innovation and exceptional experiences—consistently fulfilling our Expect More. Pay Less.® brand promise." Along with the guidance provided by the Target mission statement, specific priorities and decisions of Target leaders and employees are also guided by six company Values, which Target refers to as "What We Believe In." Even though founders Geisse and Dayton didn't write today's Target mission statement, looking at their personal histories, it's easy to see how their vision and values are still rooted in the Target corporate culture today. John F. Geisse was born in 1921 in Madison, Wisconsin. The biggest influence of his early years was the time he spent in the military. In 1941 Geisse graduated from the Annapolis Naval Academy. He served in both the Atlantic and Pacific theaters during WWII and retired as a Lt. Commander. After World War II Geisse moved to Indianapolis where he worked for Dayton department stores. He quickly rose through the ranks of the workers there to become an executive. John was known for being an innovator and a mover. While working for Dayton, he founded the Target discount store concept in 1962. Later, in 1968 Geisse founded Venture Stores for the May Department Stores chain. The venture was essentially a direct competitor of Target. In 1982, Geisse used his innovative retailing ideas to found another new concept of which he called the Wholesale Club. He grew that chain to 28 stores before it was bought out by Walmart and rebranded as Sam’s Club stores. Geisse is credited with the idea of adapting better quality merchandise and retailing it in a discount format. He’s also known as the pioneer of large quantities of open stock on shelves, and self-service department store shopping. Geisse was employed by , founder of Walmart Stores, for 25 years. Walton referred to Geisse as “a pioneer in innovative retailing concepts,” according to a report by the New York Times. Since Dayton Department Stores is where Geisse got his first experience in , he was greatly influenced by the leaders there, who, at the time, were the five grandsons of the founder George. It was Granddaddy Dayton’s legacy, however, that created the foundation upon which the Dayton Department store company was thriving when Geisse founded Target stores. Dayton founder George Draper Dayton was born in New York on the 6th of March, 1857. His parents were in the medical field. After getting married he moved to Minnesota in 1883 where he worked at a bank and managed real estate assets. In 1902 he opened his first retail store, which was called Goodfellow Dry Goods Company. A year later the name was changed to Dayton Dry Goods Company. That first store was the beginning of a retailing legacy known as the Dayton Corporation. Dayton was well known for being a philanthropist. His history of philanthropy stemmed from his dedication to his . Reportedly Dayton studied the Bible daily and went to church regularly. One religious belief that Dayton embraced fully was the concept of tithing. He believed in giving one-tenth of his profits to good causes and charitable organizations in the name of God. Most of the recipients of Dayton’s tithing were connected to religious causes. "Success is making ourselves useful in the world, valuable to society, helping in lifting in the level of humanity, so conducting ourselves that when we go the world will be somewhat better of our having lived the brief span of our lives."